The messages in this film are spot on." WILDER THAN WILD: Fire, Forests and the Future is a one hour documentary that reveals how fuel build-up and climate change have exposed Western wildlands to large, high intensity wildfires, while greenhouse gases released from these fires contribute to global warming. This vicious cycle jeopardizes our forests and affects us all with extreme weather and more wildfires, some of which are now entering highly populated wildland-urban areas. 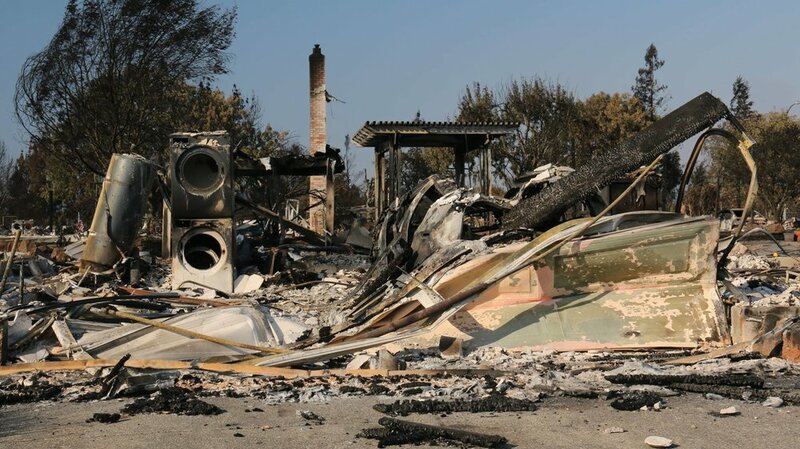 Highlighting these issues with personal experience, filmmaker Kevin White takes us on a journey from the Rim Fire of 2013, which burned 257,000 acres in the central Sierra, to the wine country wildfires of 2017, which destroyed 9,000 buildings and killed 44 people. Along the way, we learn how the proactive use of prescribed fire can reduce reliance on reactive fire suppression, we see a California tribe renew their tradition of cultural fire, and we meet stakeholder groups working with scientists and resource managers to build consensus on how to restore and manage the lands we love and depend on. Wildfires that cover at least 100,000 acres, burning a larger proportion of the land at high intensity than do normal wildfires, are known as megafires, and they're increasing in frequency. Before 1995, on average, less than one megafire per year ignited in the United States. The decade between 2005 and 2014 averaged 9.8 megafires each year, according to the National Interagency Fire Center. Of the largest wildfires in the continental United States during the last hundred years, more than 80% have occurred since the year 2000. Megafires are baked in to our future. This extraordinary increase in the size, frequency and severity of wildfires has caused unprecedented suppression costs, destruction of properties, natural resource damage, and in some cases, loss of life. "High impact mega-fires," wrote Jerry Williams in Forest Ecology and Management, "are frustrating efforts to provide for public safety, slow rates of deforestation, sequester carbon and reduce black carbon emissions." Some scientists predict that by mid-century, stand-destroying megafires will turn many forests into net emitters of carbon. Already, says Mary Nichols, the chair of California's Air Resources Board, "Forests globally are as big a source of greenhouse gas emissions as transportation worldwide. We are losing forests at a rate which is causing them to be a contributor to the problem of global warming."